A timeline of the latest revelations in police documents regarding the mayor. 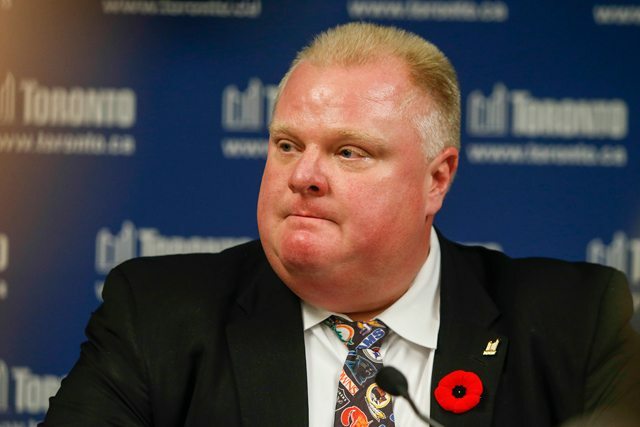 In a press conference on November 5, Rob Ford tried to put his admission that he had smoked crack behind him, saying whatever it was he did would “never, ever, ever” happen again. All quotes are from the police document, called an Information to Obtain (ITO), which was used to outline the case against Rob Ford’s friend and occasional driver, Alexander Lisi, and to obtain a search warrant. These recently released portions summarize intercepted phone calls between dozens of people, as well as police interviews with the mayor’s former staffers. None of the details contained here have been tested in court. Siyadin Abdi: charged with gun trafficking and participating in a criminal organization as a result of the Project Traveller investigation. Elena Basso (aka Princess): one of the residents of 15 Windsor Drive, a home near Rob Ford’s residence which police believe to be a crack house. She has been previously convicted on cocaine trafficking charges. George Christopoulos: the mayor’s former press secretary. He resigned on May 27. Mohamed Farah (aka D): referred to in many media reports as the “video broker,” he was acting as a go-between connecting Mohamed Siad to Gawker and the Toronto Star. Abdullahi Harun: currently facing multiple drug and gun charges in connection with Project Traveller, Harun is a second man believed to have been involved in the efforts to sell the Rob Ford video. Alexander (Sandro) Lisi (aka Dro): a good friend of the mayor’s, Lisi also served as his unofficial driver. Lisi now faces multiple drug charges and a charge of extortion in connection with alleged attempts to retrieve the Rob Ford video. David Price: an old friend of Doug Ford’s, Price was hired by the mayor to serve as his director of organization and logistics. As of council’s vote to strip the mayor of much of his budget and reallocate staff to the deputy mayor, Price no longer works at City Hall. Mohamed Siad (aka Gotti): facing gun and drug trafficking charges in relation to Project Traveller; also an alleged Bloods member. He is the man who showed Gawker and the Toronto Star the Rob Ford video and try to sell it to them. Liban Siyad (aka Gully): currently facing charges for participating in a criminal organization as a result of Project Traveller, and another one of the people who had access to the video. Anthony Smith (aka Grenades or Buck): an alleged Dixon City Bloods gang member who was murdered on March 28. Mohamed Siad and Mohamed Farah are both believed to have been friends of his. Mark Towhey: Rob Ford’s former chief of staff. He was fired—reportedly after asking the mayor to seek help for substance abuse problems—on May 24. The Toronto Star reports that Rob Ford had been asked to leave a high profile event—the Garrison Ball—a few weeks prior, due to his intoxication. Gawker and the Toronto Star publish articles in which they describe seeing a video of Rob Ford smoking what appears to be crack.